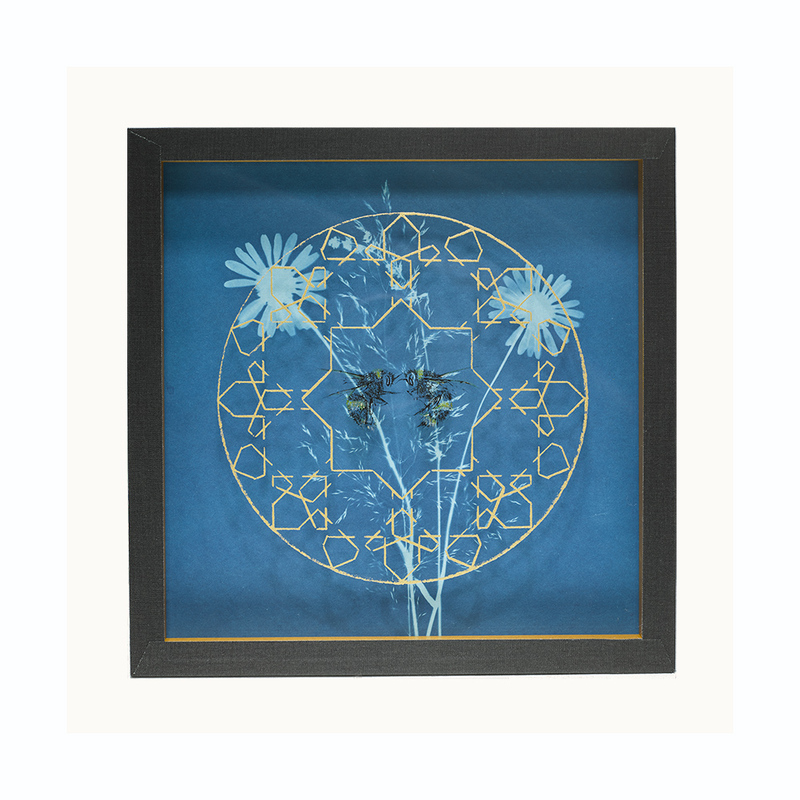 Glass screenprinted with gold geometry and painted bees, framed with blue cyanotype shadow print. 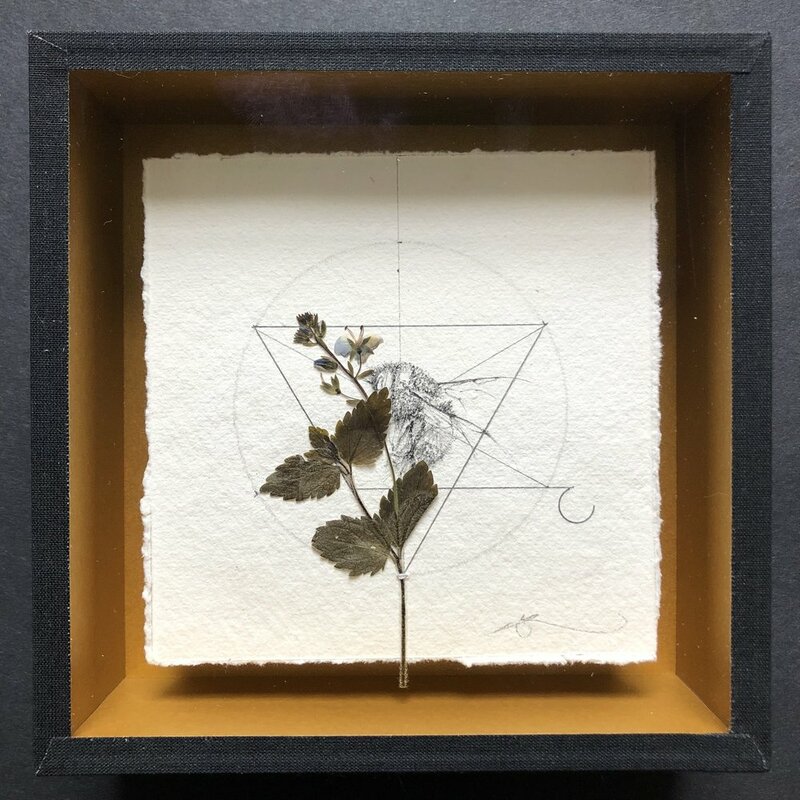 Framed in black cloth boxes lined with Gold paper. Layers of screen printed glass framed with Carborundum screen printed background + 6 peacock butterflies. 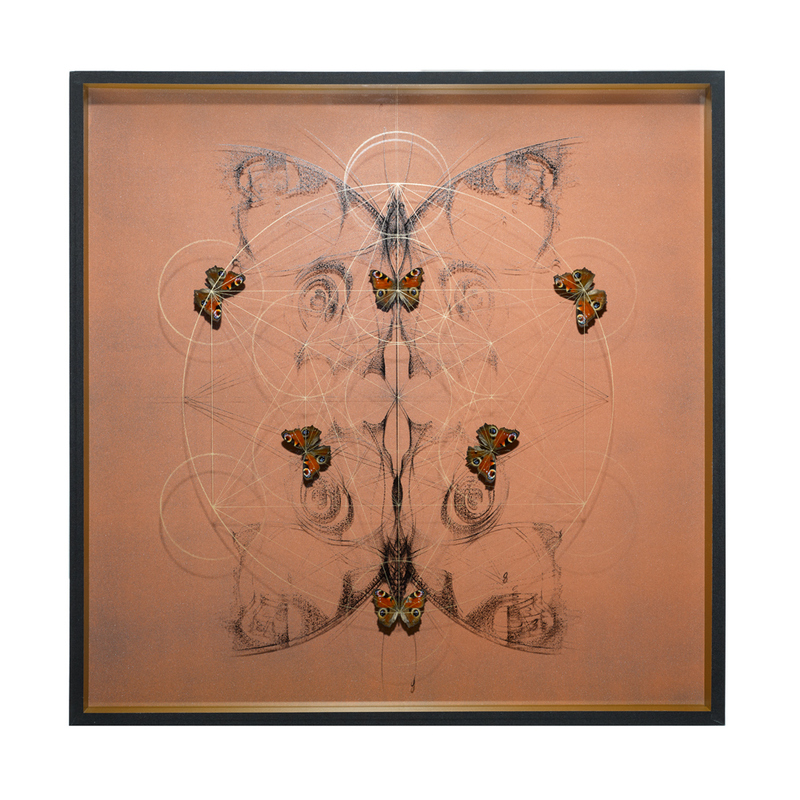 Each piece with a different configuration of butterflies. 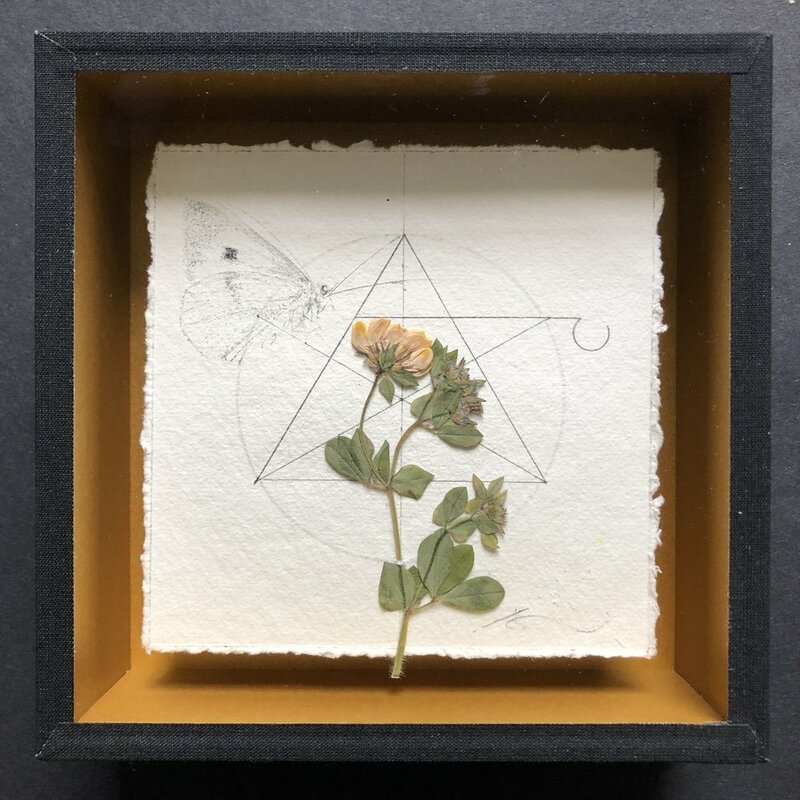 Drawing on paper with pressed meadow flowers, framed in gold lined box. Bumblebee, Butterflies, Damselflies, Honeybee, Spider. Drawings screen printed onto glass. 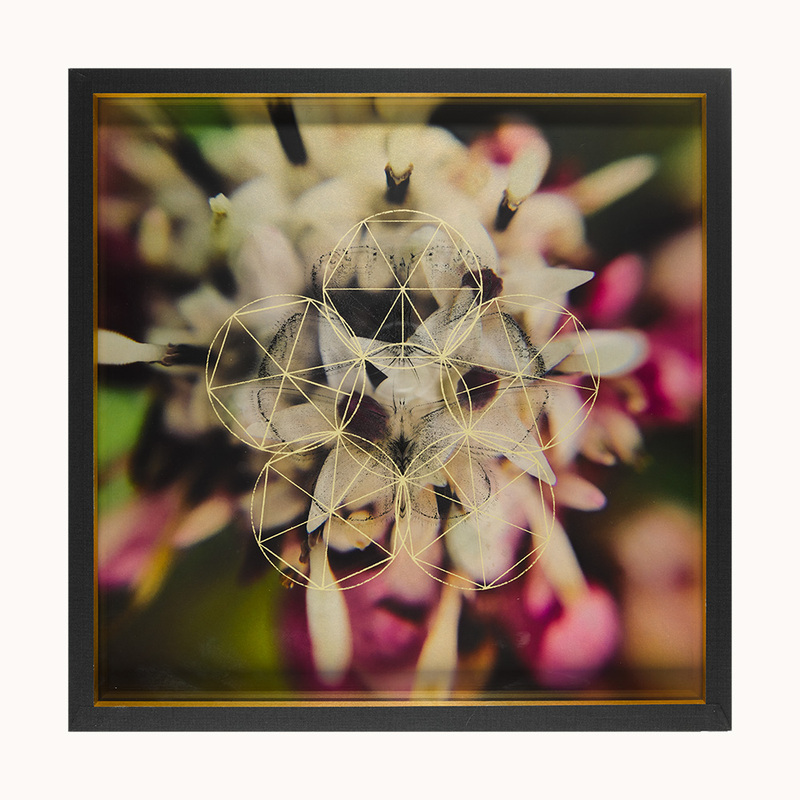 Framed with acetate prints from my meadow and screen printed geometry in black cloth boxes lined with gold paper.